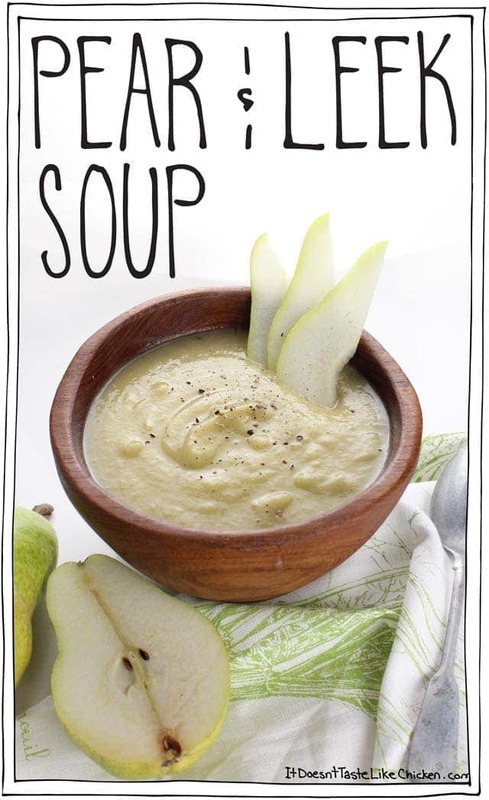 In order to properly convey the story of pear & leek soup, I need to admit something… it’s time. 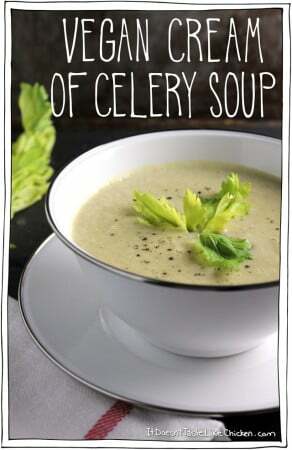 You see, I discovered the idea of pear & leek soup when I played in a scrabble tournament the other week. Yep, I admit it, I’m secretly a 邏. All this time I had you guys fooled into thinking I was some very cool chick, meanwhile here I was getting my seven letter word game strong. Haha. If it at all makes me seem cooler (or possibly even less cool), my team won the tournament, thankyouverymuch, and I contributed awesome words such as “awesome”. See, maybe I’m cool after all… maybe? So at this scrabble tournament, which consists of friends and family, everyone brings yummy treats and lots of wine. 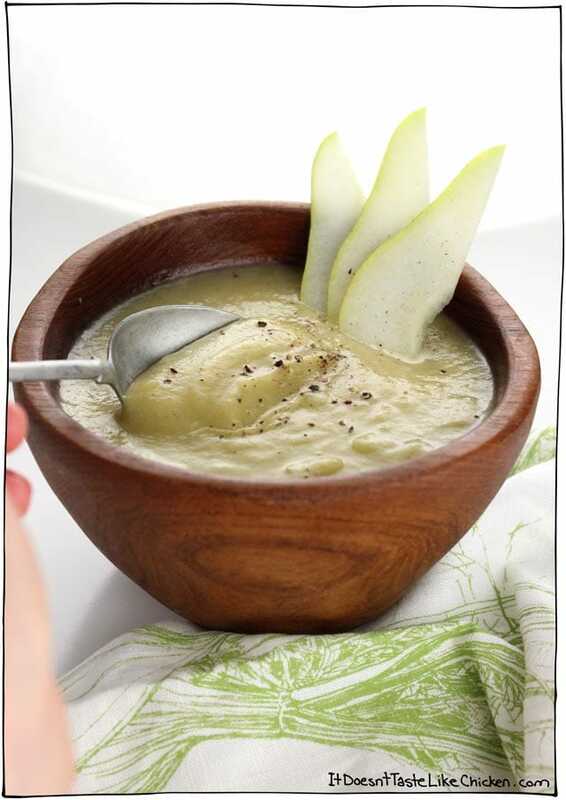 My family friend Helga, made a gorgeous looking pear & leek soup that everyone was gaga over. Unfortunately, it wasn’t vegan, but being the vegan cook that I am, I immediately came home and whipped up my own version, so that I could taste what everyone was on about. Oh my delicious. 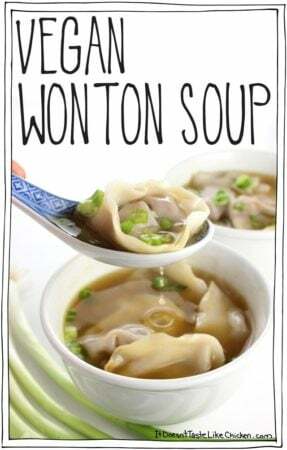 I now understand all the praise this soup received. 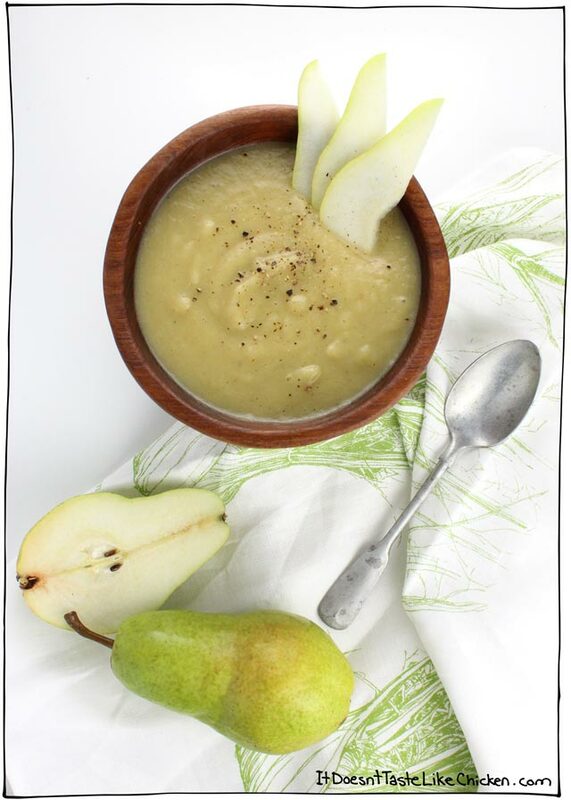 Who knew that pears could make such an amazing soup!? 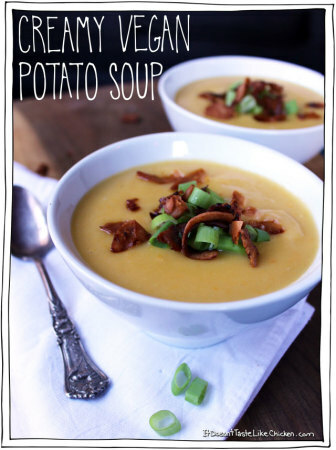 This soup has a similar texture to my potato soup. The flavour is lightly sweet, peppery, creamy (even though there isn’t any cream), you can taste the pears in a gorgeous savoury way, warm and comforting, it’s spectacularly yummy. 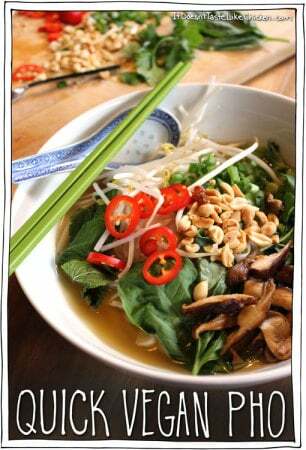 This is the kind of soup that people will be super impressed with, meanwhile, you know the secret, it’s really souper (邏) easy to make. I picked up my pears from the discount section of the grocery store and got them for 50% off. 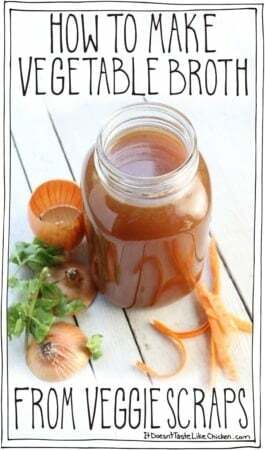 Because you peel, chop, cook, and purée them, this is a great recipe to use up older fruit! 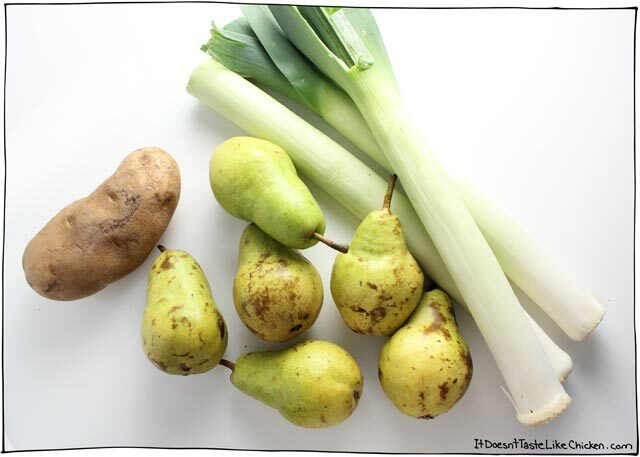 I picked Barlett pears, but I am sure any kind of pear would work and would vary the texture and flavour of the soup. I loved how deliciously peppery the soup was, but if you aren’t a pepper fan, just reduce or omit to taste. Melt the olive oil and vegan butter in a large pot over medium-high. 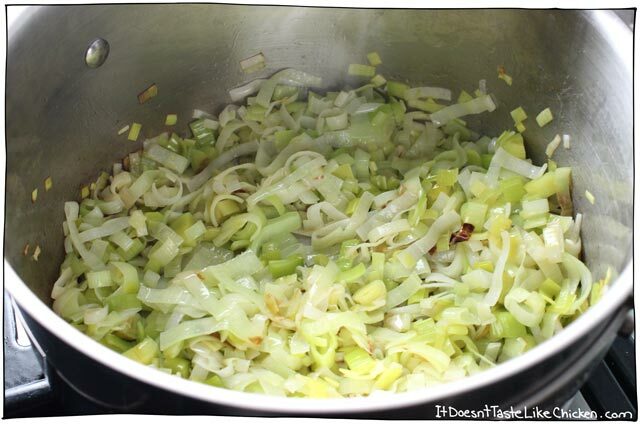 When hot add in the leeks and sauté for about 5 minutes until the become tender and start to brown. Add the broth, and use your spoon to scrape up any bits that have stuck to the bottom of the pan. Add in the pears and potato and bring to a boil. 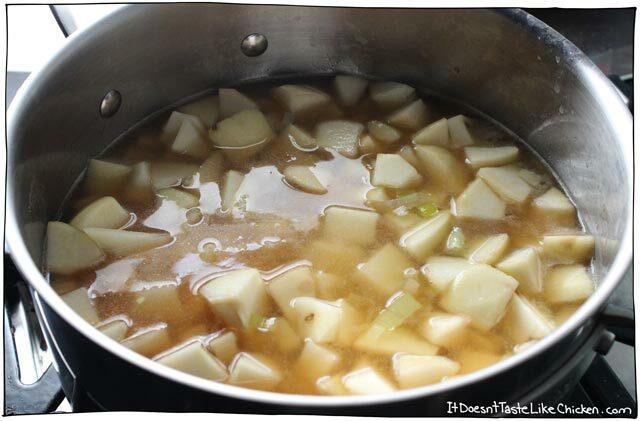 Reduce to simmer and cook 10 to 15 minutes until the potatoes and pear are nice and tender. Add the spices then use an immersion blender to blend the soup until completely smooth and cream. Alternatively, you could use a standing blender, blending in small batches, being careful not to fill the blender to high so it doesn’t erupt. Serve hot. 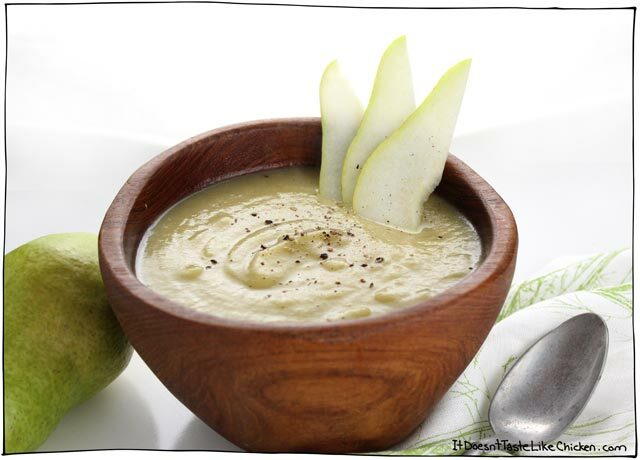 Lightly sweet, peppery, creamy (even though there isn’t any cream), you can taste the pears in a gorgeous savoury way, warm and comforting, it’s spectacularly yummy. 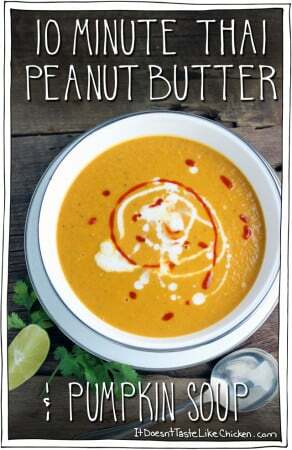 Very easy to make, perfect for any occasion. 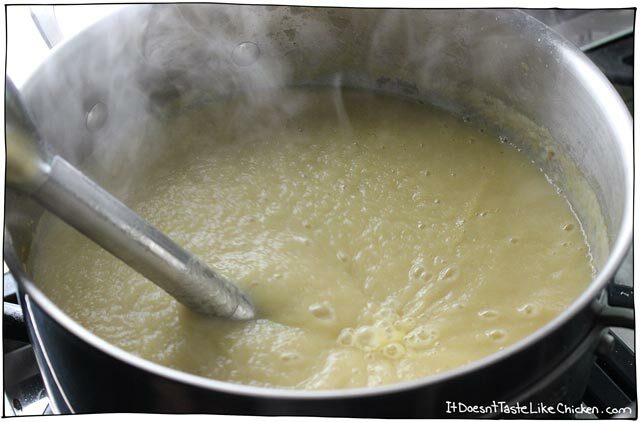 Add the spices, then use an immersion blender to blend the soup until completely smooth and cream. Alternatively, you could use a standing blender, blending in small batches, being careful not to fill the blender to high so it doesn't erupt. Serve hot. Oooh love the addition of walnuts! I love making soup, especially now since my mother-in-law is recuperating from surgery and I am trying to keep her supplied with meals. Your batches usually make enough for my dinner with hubby, then two smaller servings for her. This is really very, very good. The taste is subtle – not too sweet or fruity. 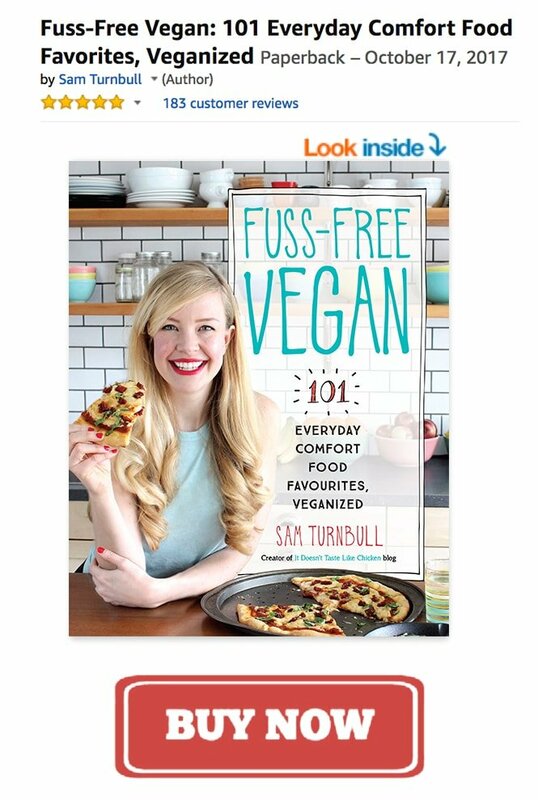 We enjoyed this so much – had it with my re-mix of your tofu steak and it was a great meal!! Sounds interesting but, besides being two adjectives, what is “ground savory”? I’m from California and I’ve never heard of this. Thank you, Sue! Haha, too cute. Ground savory is a spice. You can pick up a bottle here on amazon if you like, but it should be available in your local grocery store as well. Enjoy!